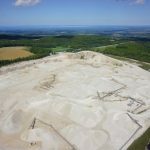 Rock Face Survey | Canadian UAV Solutions Inc. Rock Face Survey | Canadian UAV Solutions Inc. Although there are many ways you can capture data in Ontario, using Unmanned Aerial Vehicles (UAVs) for this purpose is a very accurate method. Additionally, our inspection services are a much safer and cost-effective alternative to standardized methods. 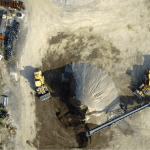 We can provide you with the footage and 3D models you need to quickly and safely survey cliffs and break lines, without the need of sending professionals into potentially hazardous situations.